prior to starting class. (no weekly payments). Fees are transferable but not refundable. Please note that we do not accept credit cards. All adult classes are 6 x 1 hour classes per week. Start off by learning some basic movements it's a lot of fun and easy to do to most kinds of music. to more complicated and exciting movements. Advanced groups and techniques class. These may change so it is suggested that you check with us first. Adult Level 2 Classes: 3 Styles. Adult Level 3 Classes: 3 Styles. basic movements to advanced work. Note: All youth classes are there for pure fun and exercise. During their training they will be given Dances and groups for preparation for medal exams held throughout the year. This gives them an aim and purpose for learning as well enjoyment. Medal exams are not compulsory, but the participation excels all of our students, and it is also great preparation for those students that may eventually want to become competitively involved. Professionals and students of high quality will partner all those that participate in exams. Cha Cha Cha, Samba, Rumba, Jive, Salsa, Mambo, Merangue, Rhythm, Street Latin. 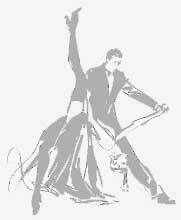 Waltz, Tango, Argentine Tango, Quickstep, Slow foxtrot, Viennese Waltz. 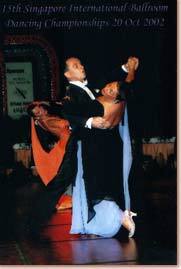 Tangoette, Swing Waltz, and many more.